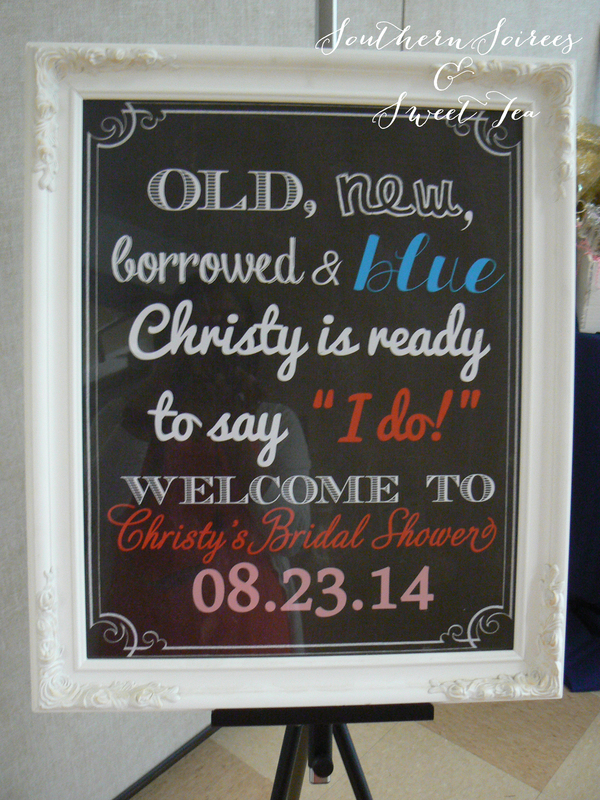 My cousin Christy is getting married – yay! 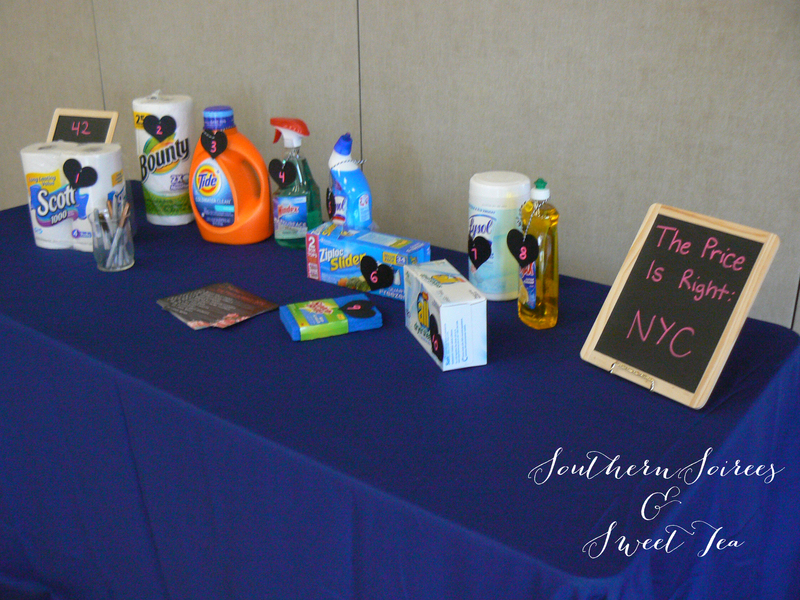 However, she’ll be leaving the great Lone Star State and moving to the Big Apple – boo! 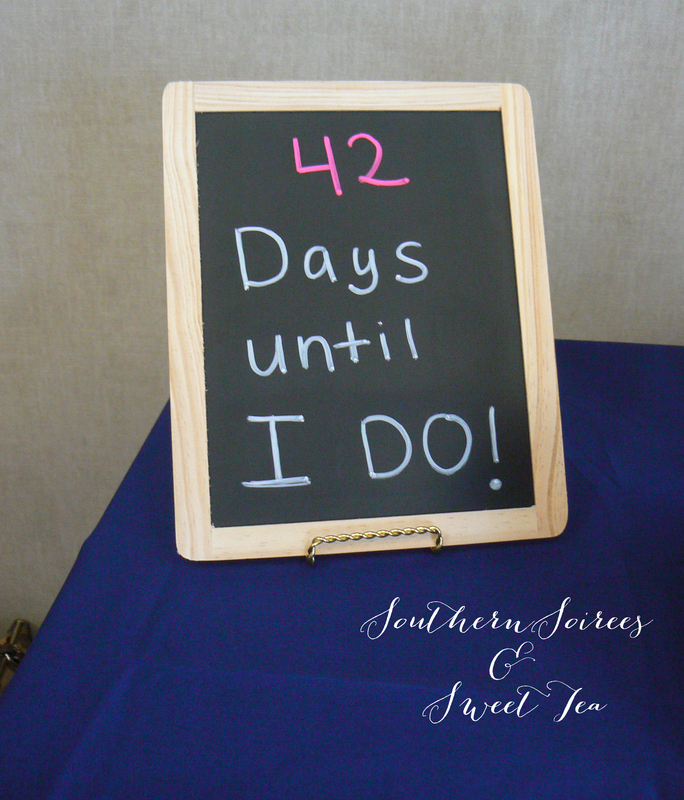 Since I’m an optimist, I’ve decided to focus on the fact that this is a great excuse to throw a party. 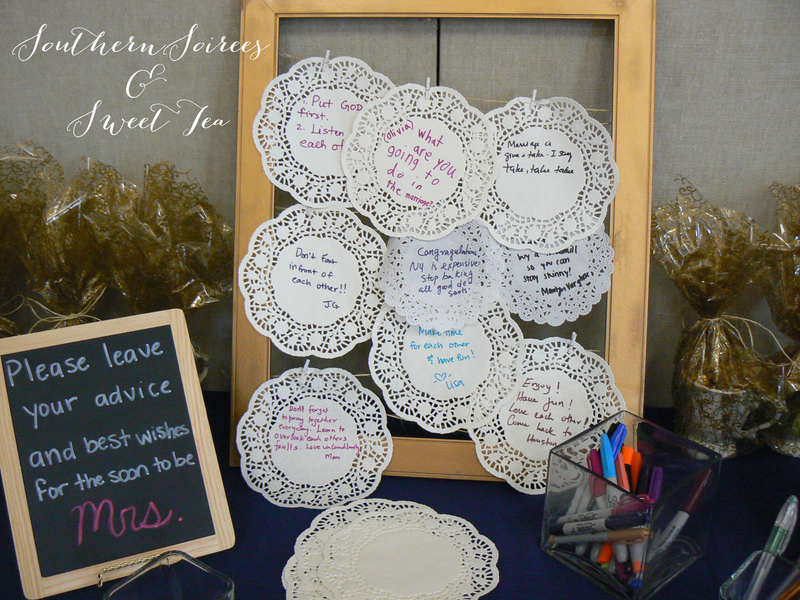 Christy’s sister and I hosted a bridal shower to send our southern belle off to the city in style. 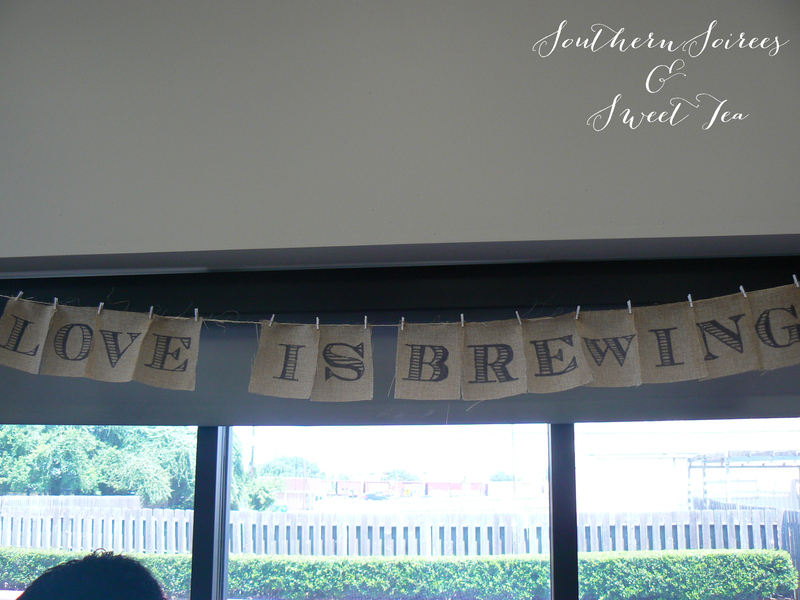 The shower was feminine and rustic and we used burlap, lace and chalkboards to tie it all together. 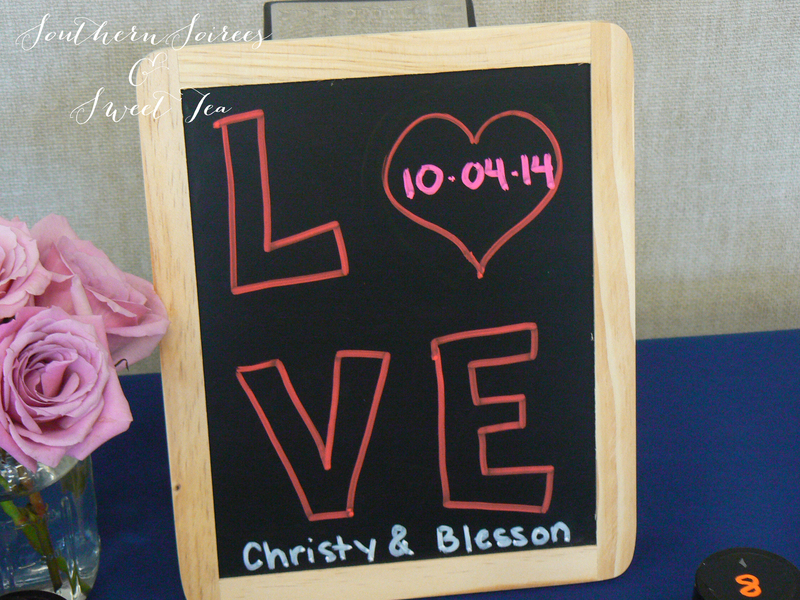 Guests were welcomed with this chalkboard sign that I made using photoshop. Thank goodness I paid attention during that high school computer class that I thought was so boring. 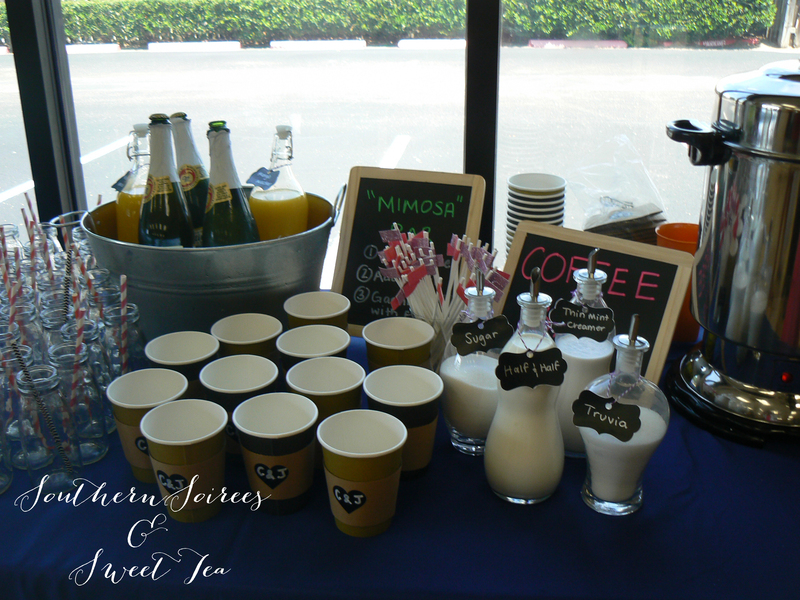 We served brunch – who doesn’t like brunch?! We had fun making donut hole skewers, nutella berry bruschetta and blueberry croissant puffs (thanks Pinterest). 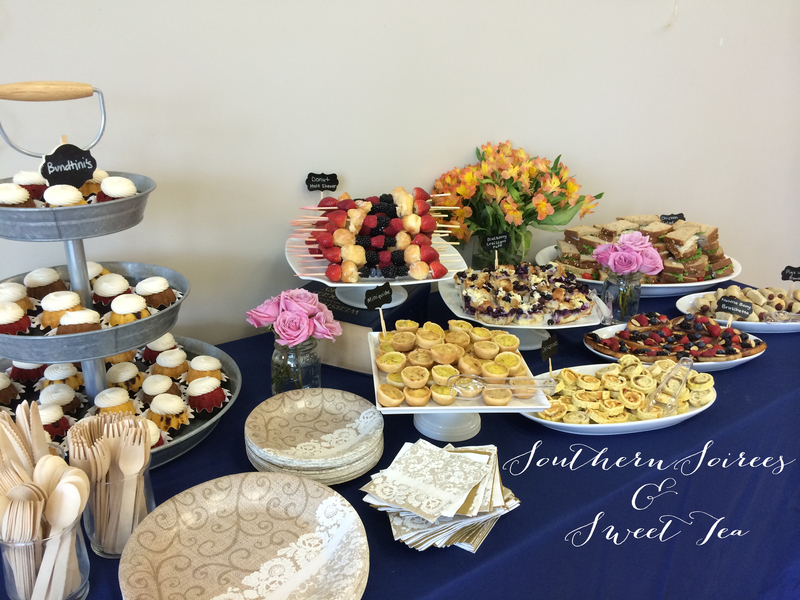 The ladies also got to snack on quiche, Chick-Fil-A sandwiches and delicious Bundtinis from Nothing Bundt Cake. Okay, I have to move on, I’m getting hungry. 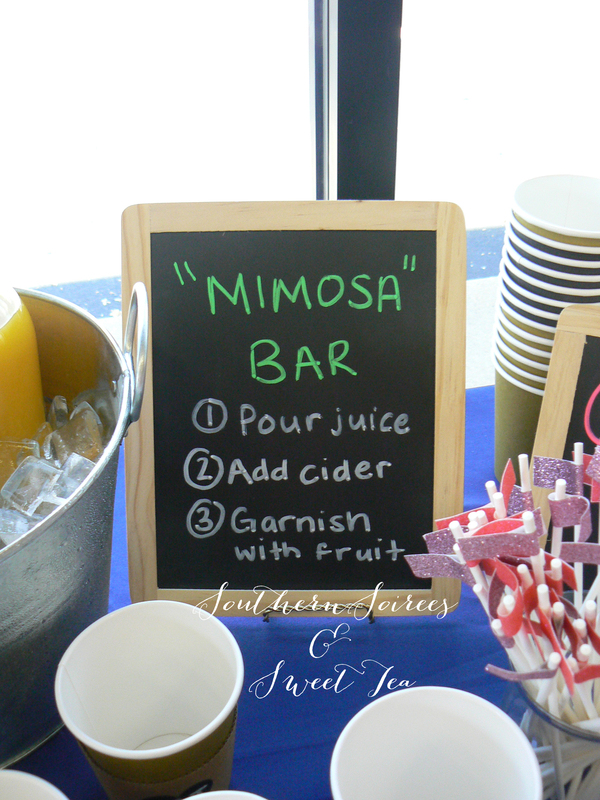 To wash down all that brunchey (I made that word up) goodness, we had a drink station that included a full coffee bar and sparkling cider mimosas. 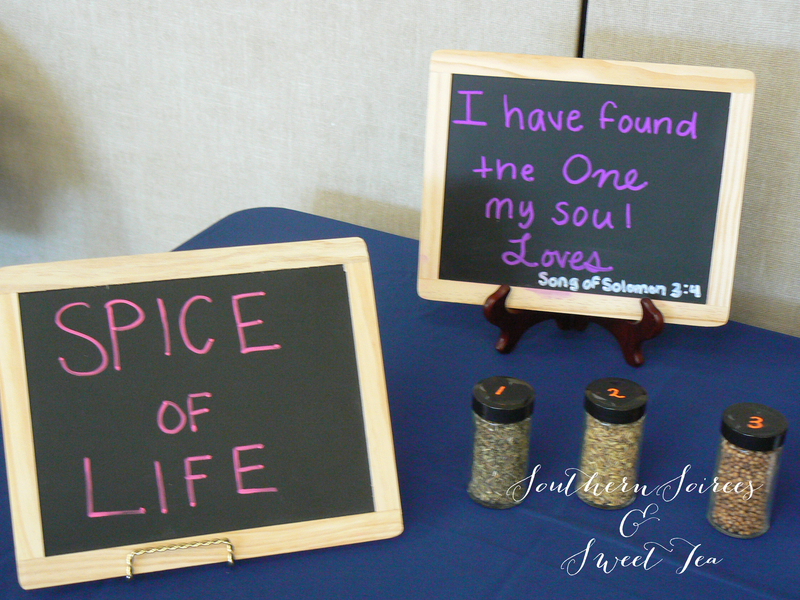 Chalkboard signs were used at the coffee station and to display signs around the room. 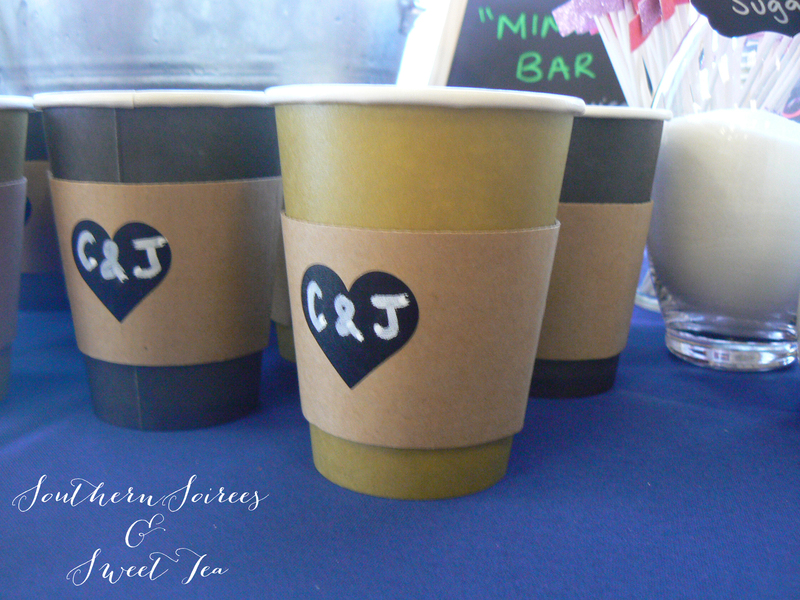 One of my FAVORITE details – coffee cup sleeves with the bride and groom’s intials. 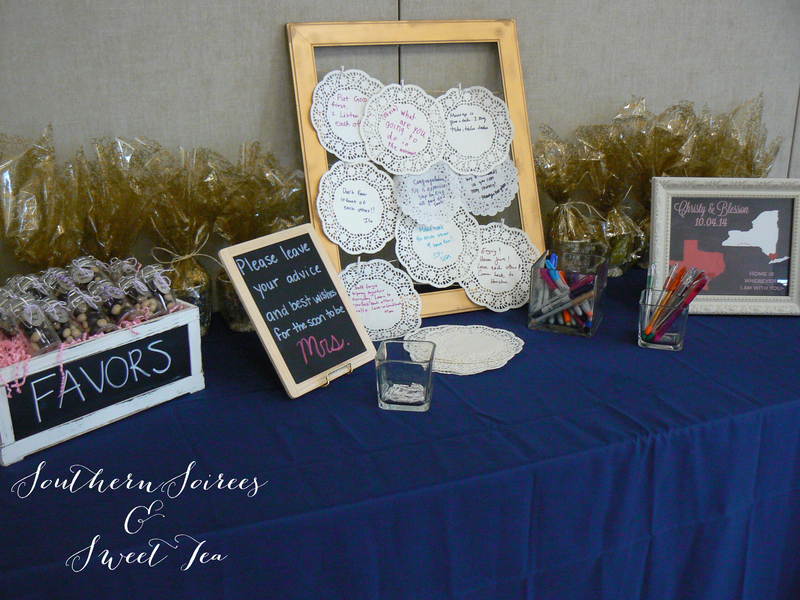 We kept the decor simple and elegant. 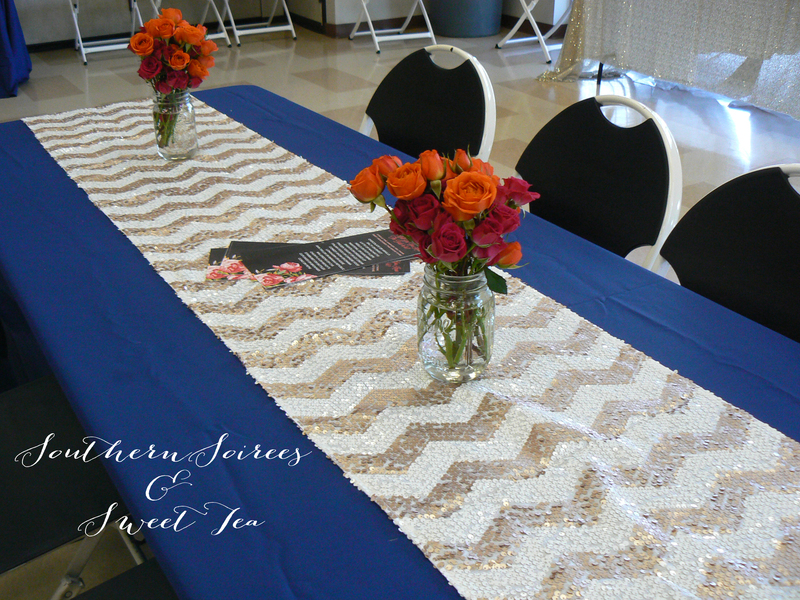 Navy blue table cloth and sequins runners. 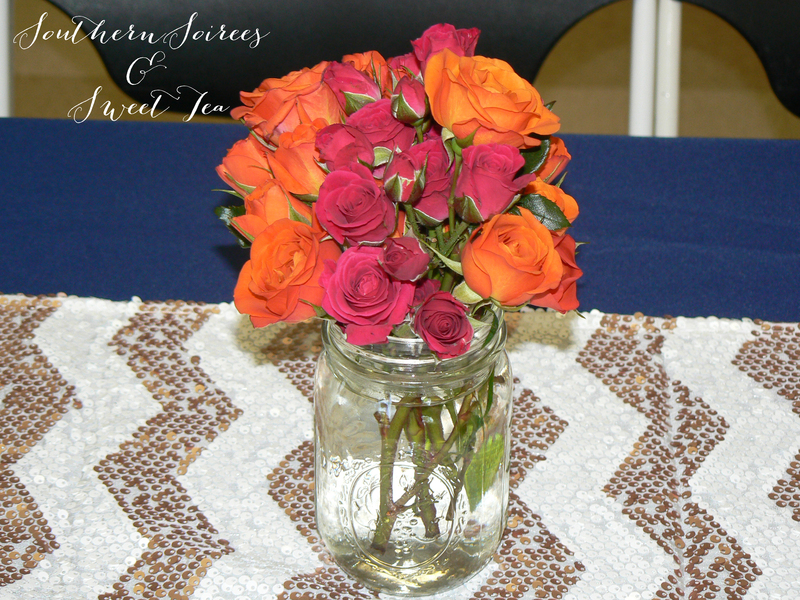 I wouldn’t call myself a florist but I think we did a pretty good job arranging these baby roses in pint sized mason jars. 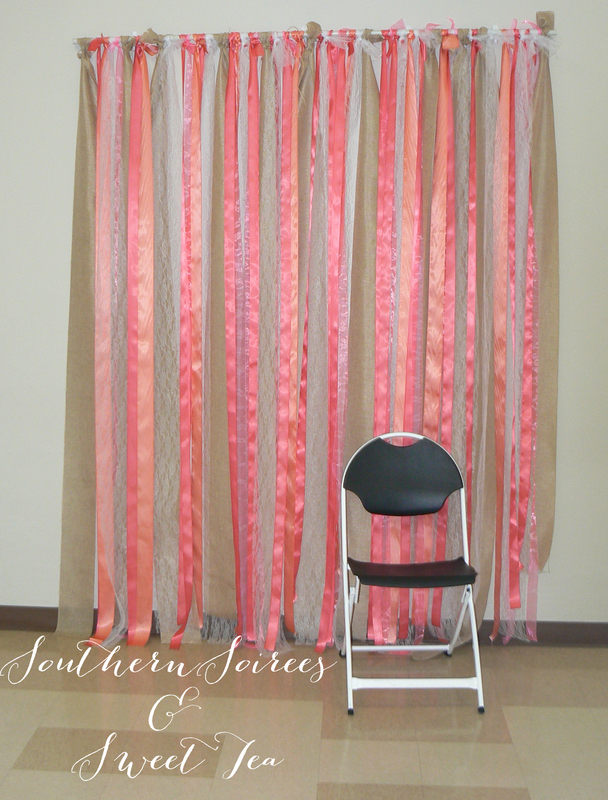 This ribbon backdrop was so beautiful and easy to make. 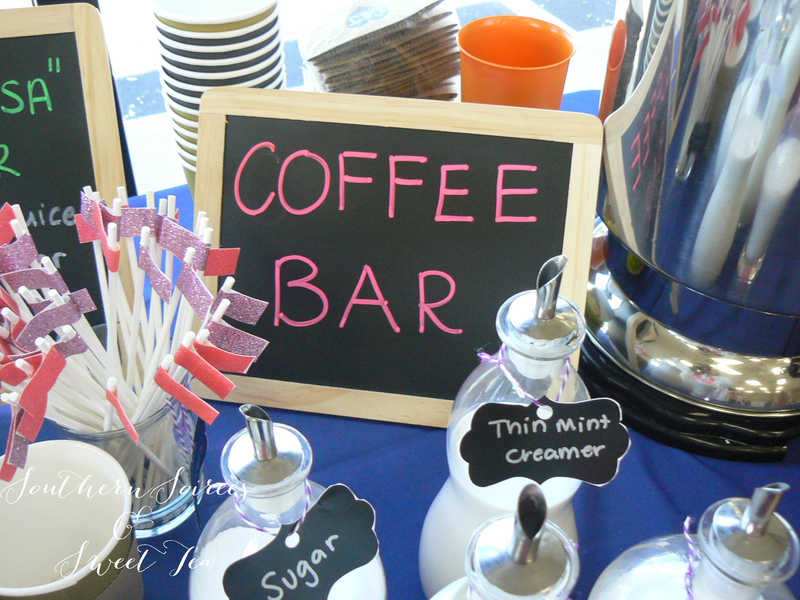 A PVC pipe and different colored ribbon – bam – you’re done! Whhhhhy didn’t I get more pictures of it?? 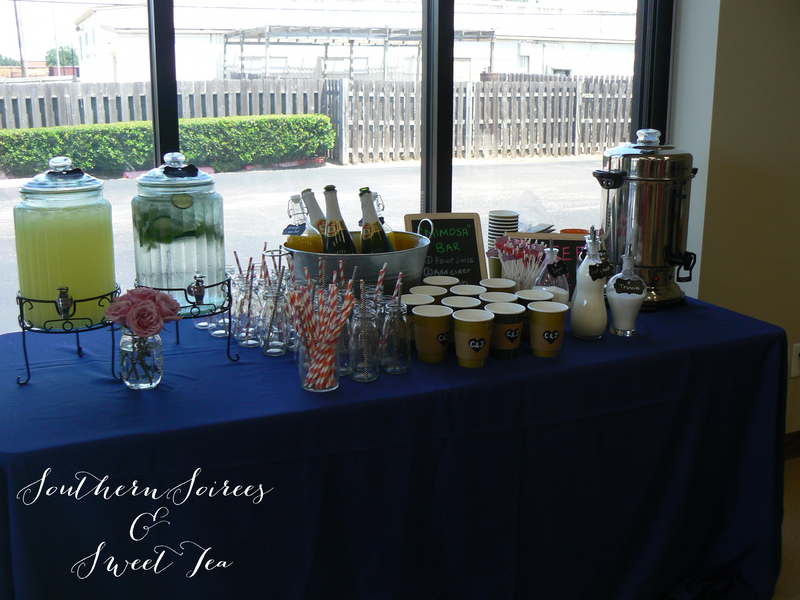 I got so excited once the party started that I forgot about picture taking. As sad as I am to see my cousin move, I’m so happy she found true love. 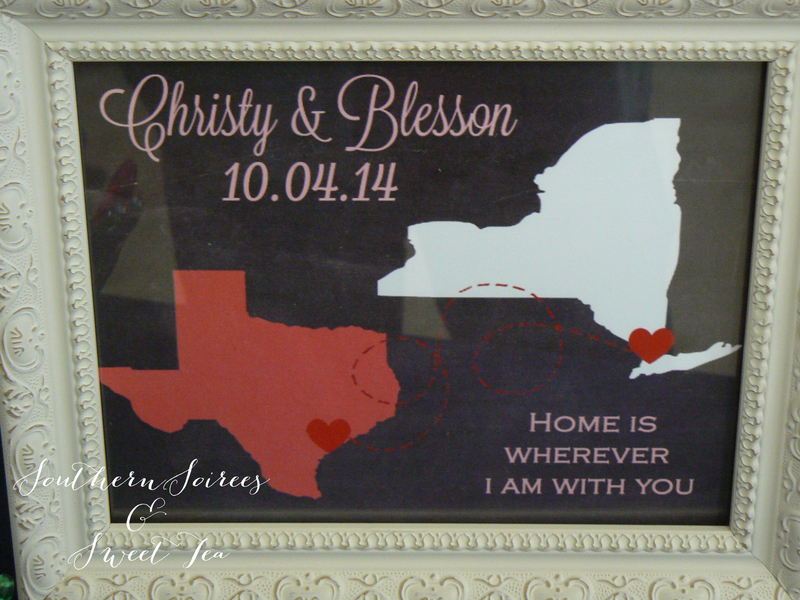 I know she’ll miss Texas but I’m sure she’ll make wonderful memories with her sweet husband to be no matter where they are.